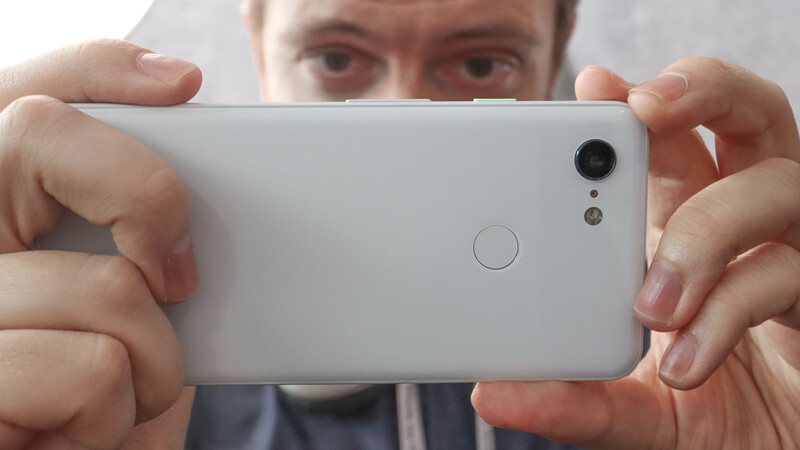 The Google Pixel 3 is promising to the best smartphone camera in 2018, or at least that's the bold title that Google is looking to claim thanks to its machine-learning camera array. 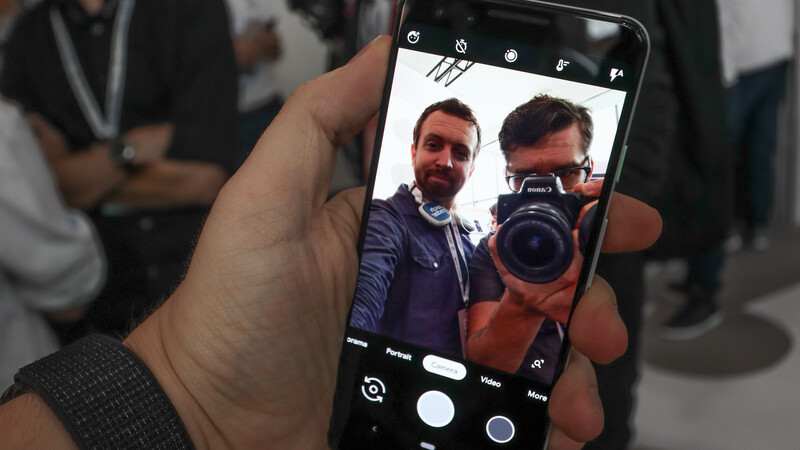 It has a 12.2MP camera on back and two front-facing cameras on front, one fit for wide selfies to get an entire group shot without cutting people out of the picture. To this day, the Pixel 2 camera still amazes us, and the Pixel 3 building off of that success gives us high hopes for our forthcoming camera tests. Is it that much better than the Google Pixel 2? We're currently exploring this phone in a flash hands-on and laying out the specs below. Here's what we think so far. 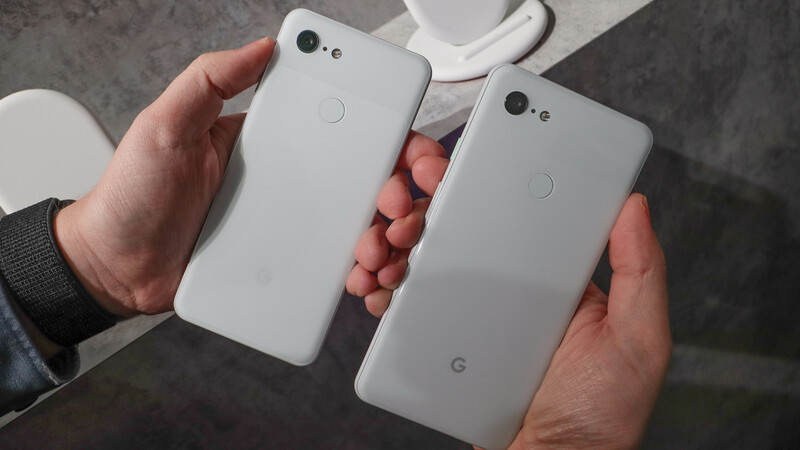 The Google Pixel 3 release date is October 18 in the US, and November 1 in the UK and Australia. Pre-orders begin around the world today. Countries like the US, UK, Canada and Australia will be the first to get the new phone. The US Pixel 3 price starts at $799 for the 64GB version, while the 128GB edition is just $100 at $899. You're saving $100 by not opting for the larger Pixel 3 XL. In the UK, the price is £739 (64GB) and £839. In Australia, you're going to be paying AU$1199 for 64GB and AU$1349 for 128GB. We'll have more Pixel 3 prices as the ship date nears. The Pixel 3 retains Google's familiar two-tone design, but with different materials this year. It has soft touch glass on the back, made with Corning Gorilla Glass 5. There's also Gorilla 5 five protecting the front screen, and it's all sandwiching an aluminum frame with a hybrid coating. That's the only bit of metal you'll find on the outside. 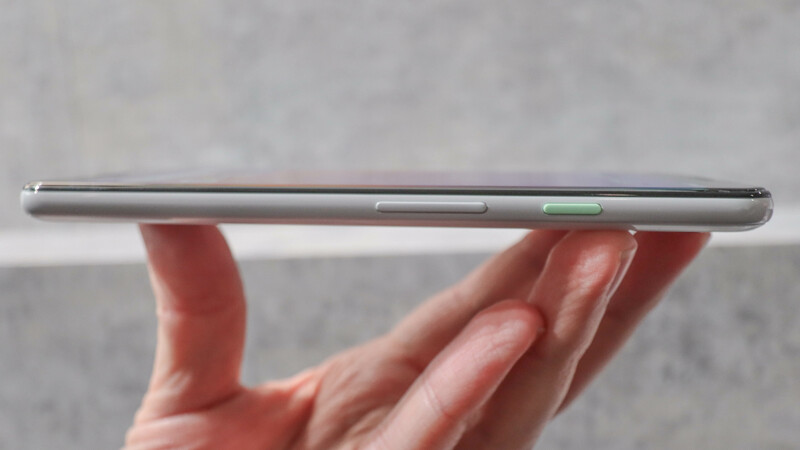 Sure, the all-glass design makes it more susceptible to damage, but it enables a better LTE connection and wireless charging. 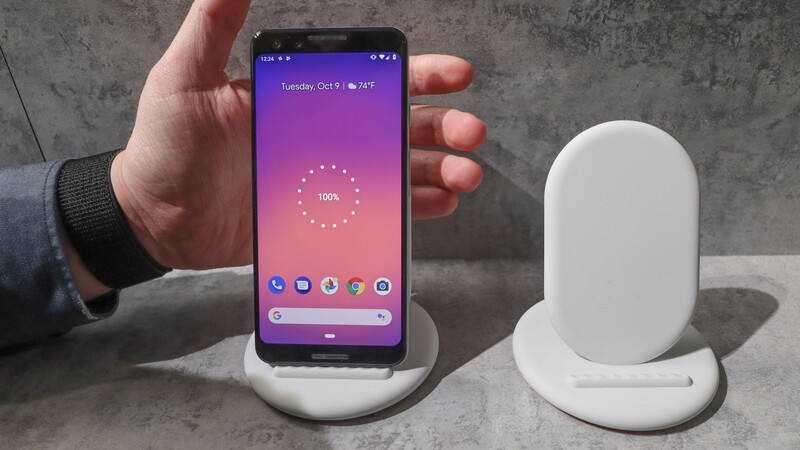 The latter feature is new for Google Pixel phones and a welcome change now that Google is releasing the Pixel Stand wireless charger (we'll review one of those too). The 5.5-inch OLED screen is big and expansive, but sits in a phone that's smaller than we had expected. The entire thing measures 145.6 mm x 68.2mm x 7.9 mm and weighs 148g. 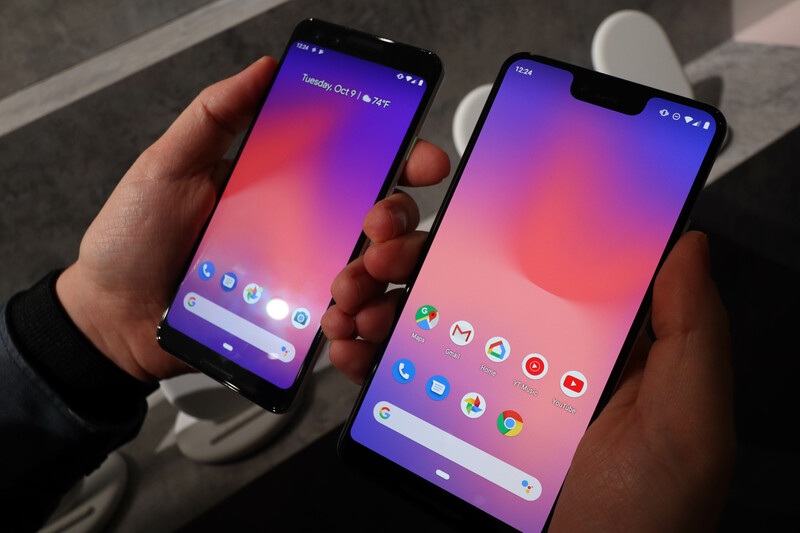 It's easier to operate than the Pixel 3 XL, we found during our side-by-side comparisons. The Pixel 3 screen is also better than what we experienced last year from the Pixel 2. It has a few more pixels per inch, yet the screen is expanded by becoming taller. There's noticeably less bezel thanks to its Full HD+ resolution that gives us a 18:9 aspect ratio rather than the dated 16:9 look. That's what we felt was lacking about last year's smaller Pixel. 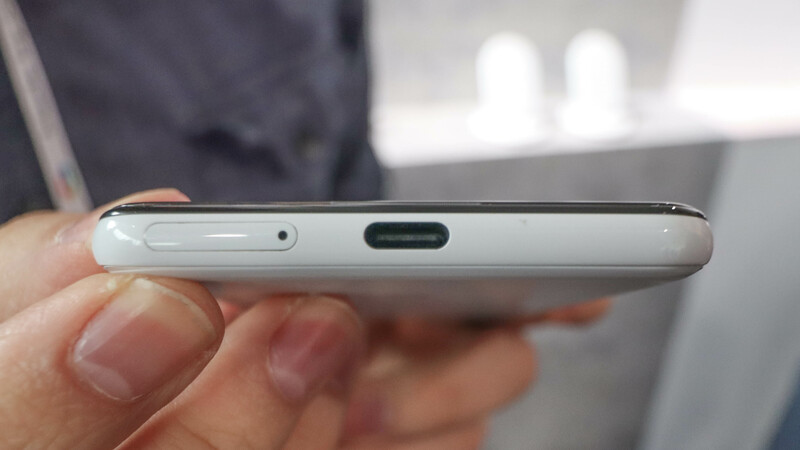 The Pixel 3 has a 2,915mAh battery capacity, which is smaller than we had hoped, but still an improvement over last year's Pixel at 2,700mAh. You should still be able to get all-day battery life from this device, though, and benefit from fast wireless charging. The Google Pixel 3 is offering a lot in a tighter package than the Google Pixel 3 XL. It has dual front-firing speakers, a promising 12.2MP camera backed by machine-learning and a much better display than the one we got last year. This is the one-hand friendly version of the Pixel 3 XL that your grip might appreciate. Its price is cheaper than an iPhone XS and it runs pure Android Pie with promise of the latest updates straight from Google. It's a good value, but we'll have to examine the battery life and camera closer in the coming days.